Happy Thanksgiving everyone! This year, I’m so unbelievably grateful for my little family. Drew and Dash are my entire world and I’m so blessed to have both of them in my life. As you can see from my growing belly, there’s a new addition coming to the Parcell family in spring 2015 and we couldn’t be more thrilled!!!! I couldn’t end today’s post without saying how grateful I am for all you! I started Pink Peonies during my first year of marriage nearly four years ago and many life changes have happened since then. Thank you so much for following along the journey thus far and I’m so excited to share this next chapter of our lives with you! I love you all and have a wonderful holiday! Congratulations!!! You look gorgeous! This is so exciting!!! Congratulations!! Such an amazing blessing! Cannot wait to follow your journey into motherhood. Congrats! These photos are gorgeous! Oh my! congratulations!!! all the best rach! Omg I’m so happy for you. Congratulations! You look amazing! So exciting! Congratulations!! We’re due with our first in February- it goes by so quickly! Hope you’re feeling well :) You look great! Congratulations, that are amazing news! I hope everything goes well during your pregnancy and you can enjoy the time! Those pictures are very beautiful as always and generally I want to thank you for all the amazing content you put on your blog! Congrats Rach & Drew! These are the most beautiful pregnancy photos I’ve ever seen. The white on white is stunning. Can’t wait to see how you dress your beautiful baby bump Rach :) Enjoy every moment. Happy Thanksgiving to you and your family Rachel and congratulations on the pregnancy news! :-) very happy for the 2 of you. Eek!! I’ve been a follower for several yrs and as cheesey as it sounds I’ve been waiting for this day ;) congratulations Rach!!! You are stunning and will be the best mommy! I thought so looking at your recent posts :) Congrats Rach, I’m so happy for you! I have a 2-year-old toddler running around the house and I can honestly say there’s nothing more important than having a loving family. Awww!! What a sweet surprise!! CONGRATULATIONS!!! Also, happy Thanksgiving to you and your family! Congratulations, Rachel! I wish you, Drew, and Dashie all the best. Happy Thanksgiving! Congratulation, this is an amazing news! Happy Thanksgiving! Oh GOD that is an ugly man. I hope you baby doesn’t turn out looking like him! Amazing post, for an amazing family portrait! Congratulation Rachel! Such exciting news, on this beautiful day. Congratulations Rachel, you look absolutely stunning ! Happy Thanksgiving to you both and your families! Congratulations on the great news of your pregnancy Rachel! You must definitely be thrilled! WOW Rach congrats!!! That’s so exciting! These pictures are absolutely beautiful. You’re going to make an amazing mom! Congratulations!!! The pictures are beautiful! Have a wonderful thanksgiving! This is a beautiful announcement. That’s such great news, congratulations on your family! This are such beautiful photos. Congratulations! So much to be grateful for this beautiful Thanksgiving! Thank you for all of the fashion inspiration!! Wow Rachel! Congrats and all the best, you look gorgeous! Have a wonderful Thanksgiving! OH MY GOODNESS!! CONGRATTSSS!!!! I’m so happy for you guys!!! Happy Thanksgiving!! Congratulations! I wish you and your family the best. Congratulations!!! What an exciting time for your family! Your bump is beautiful! Congratulations Rachel!! I’m so so happy for you and your family!! You look amazing and best wishes for a healthy, happy pregnancy. Happy Thanksgiving!! Congratulations!!! You will be an amazing mama! Congratulations to you and your sweet family! You look absolutely stunning!! Enjoy every minute if being pregnant! It is truly a miracle!! Happy Thanksgiving! You are going to be one very stylish mama! 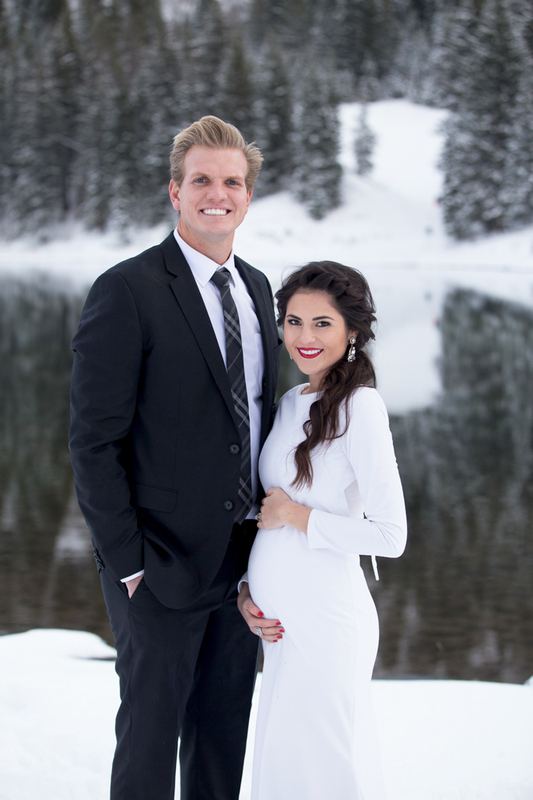 Exciting news and beautiful pics…CONGRATS!! I knewwww you were pregnant! You posted a photo in style post and you had your hand on your belly, only placed in a way that a mother holding her growing baby would rest her hand. ANNNND you haven’t had as many posts as you do lately. How exciting for you and Drew! Congratulations! Lovely holiday photos, and I can’t believe how big Dash is getting. Congrats again & Happy Thanksgiving! Xo! This is such exciting news! I am so happy for you and your family. Watching your journey that you share on your blog as a follower from the very beginning, has been wonderful. Congratulations and the very best wishes! Congratulations Rachel!! Such exciting news. Can’t wait to follow along with you during this exciting time. Happy Thanksgiving! Congrats to you and Drew, Rach! You are absolutely glowing in these pictures- they are STUNNING! Drew looks pretty handsome too :) I’m so happy for you both! Happy Thanksgiving! these pictures are beautiful and congratulations! Rachel this is such amazing news. I have followed you from the very beginning and finding Pink Peonies was an inspiration to start my blog. Congratulations to you all and I look forward to seeing all the pictures when he or she arrives. What a wonderful Thanksgiving surprise!! Congratulations! I’m so happy for you and your growing family! Yay! I’m so happy for you :) Being a mom is the best thing ever!!!!!! OMG. Congratulions!!! !You look aamzing! Love this pictures and Im happy for you!!!! OH MY GOSH!!! I AM SO EXCITED FOR YOU!!! Hi Rachel. I just wanted to say CONGRATULATIONS. Wow, I don’t think I’ve ever been so excited for someone. I love your blog, along with your outlook on life. I love the many things you share. You truly inspire people. For me, you have inspired me to start a blog (still under construction) but to also not be afraid of/in life. I’ve met yuh a couple times and the light you carry is very special. I won’t settle for less Rachel, because in a way, you have showed me that being a genuinely happy person, who has dreams and aspirations are definitely attainable. I just wanted to express my gratitude to you today. Thank you so much for all that you do and continue to do. You and your blog have definitely helped me through times in my life when I feel like my dreams aren’t within reach. I just flip to your blog and it screams at me YOUR WANTS, HOPES, AND DREAMS ARE POSSIBLE. DON’T GIVE UP! SO thank you Rachel! Have a wonderful Thanksgiving and a Happy Holiday! Beautiful creative photos! Love the white dress! huge congratulations to you and drew!!! So very happy for you and Drew and your entire family. So much for you to be thankful for this year! Oh wow! Congratulations and happy Thanksgiving! So, so happy for you! Happy holidays to you and your beautiful family. Thanks for always posting great content, being so responsive to emails and letting us follow along as you journey through life. Congratulations!! Such exciting news. Have a wonderful Thanksgiving with your family! Congrats! You look so amazing!!!! May God bless you and your growing family!!! Happy Thanksgiving! Omg congratulations!! Thats so exciting :) happy for you and growing family! Congratulations! I’m so happy for you. All the best to you and your family. Congrats!! So happy for you and your hubby! You look beautiful! Oh my goodness!! Congratulations! You are going to be a wonderful mother and will certainly have the most stylish baby! Congratulations. I hope you spend this holiday with everyone you truly love and by this time next year you will have a new addition to be thankful for. What a wonderful, exciting post! You look gorgeous, as per usual! So excited for the new addition to your sweet little family! Happy Holidays! Congrats!!! It’s a beautiful and amazing journey. Happy Thanksgiving! Congratulations beautiful Rachie! I’m very excited for you, and very proud of all you have accomplished! Congratulations!! What a wonderful news to share on this thankful day!! Best wishes to you and your family. You look gorgeous as usual. Oh my goodness congratulations!!! What wonderful news. I’m so happy for you and your growing family! A huge congratulations, what an exciting time, enjoy each moment and take care of yourself! These are such beautiful photos. You are glowing!! Your hair, lipstick and that gorgeous white dress are just too perfect!! How far along are you. I’m just about 23 weeks and can’t wait to see your maternity style!! Congratulations! I feel a little weird since I don’t actually know you saying this… But I am just so excited to see your little family grow!! So perfect! Congrats! What a great blessing! Congratulations Rachel, Drew and Dasher! I have been a fan of your wonderful blog for a few years and I cannot wait to follow you on this beautiful new adventure! Tal vez no hables español, pero me encantaria que supoeras lo importante que eres en la vida de muchas de nosotras inspirandonos y mostrandonos una parte tan bonita de tu vida y la de tu familia. Muchas felicidades ya que esta bendicion q dios te esta mandando estara llena de cambios hermosos y que nunca te imaginaste pudiera sentir tu corazon. Te mando un abrazo muy fuerte desde Mexico y todas las buenas vibras y bendiciones. OMG! you are so stunning/amazing/gorgeous! congrats, you’ll be the most amazing mom! Congratulations Rach! Such wonderful news! The photos are beautiful. You’re a gorgeous mother-to-be! Gorgeous pictures & scenery! Congratulations to you both! Lots to celebrate! I’m really happy to hear the good news! The biggest congratulations to both of you!!!! I am so thrilled!! It has been incredible to follow you on your blog and see you evolve and enjoy the success of all your hard work!! Motherhood is the biggest blessing and I’m just filled with joy for you. These pictures are so perfect that words do not do them justice! The white dress is so spectacular!! You hair is gorgeous and your face is glowing. Your entire family has so much to be grateful for this year! Happy Thanksgiving, Rach!! Like I posted the other day…..”baby” it’s cold outside!!! Blessings to you dear!! Congratulations to Rachel and Drew! 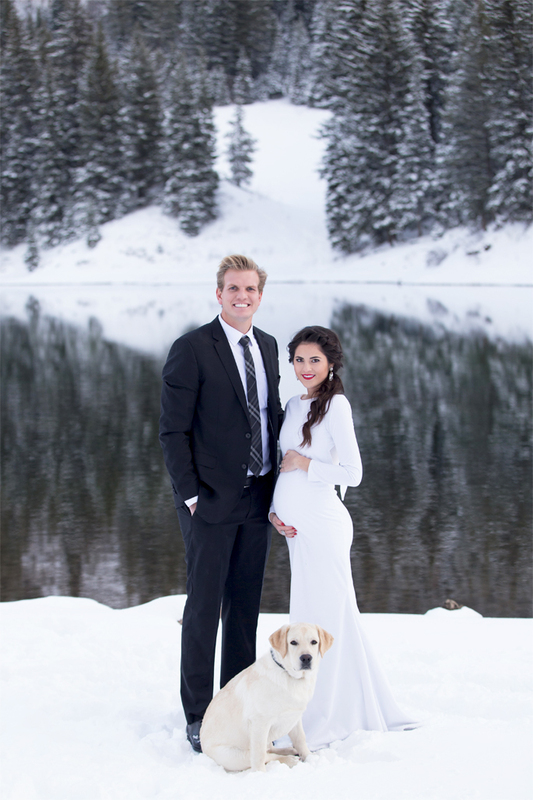 This is such a beautiful family photo and I am so excited that a special little one is coming soon! I look forward to seeing all your new posts. While it’s been completely obvious that you’ve been pregnant for some time, I do understand and respect that you have every right to announce this when and how you wanted. It just would have been a bit more genuine if you hadn’t lied about your weight gain and instead just…left it completely “off the table” because now, sadly, I’ll always have this niggling thing that you’re lying when something questionable(?) comes up. Again, I do wish you health and joy and everything that comes with it. We have been trying for over a year to get pregnant, I didn’t know whether it was going to stick or not and people have been speculating about me being pregnant for over a year. When I was asked that question I did not lie and I don’t appreciate you saying that. I didn’t confirm it or deny it. I was still so new that I hadn’t gained any weight and I did not look pregnant what so ever. Did you ever consider that maybe I had a personal reason of why I choose to wait so long to share? I don’t think it’s a appropriate to call someone out you don’t even know and ask if they’re pregnant or not. Either that person is saying something about my body image or they’re asking me something I’m not ready to announce yet. Sad that you had to take such a positive and exciting thing and turn it negative. Please read my comment again. I said that I fully respect your choice and you have every right to make it! I understand that. However, lying about your weight gain is where the lies came in. As I said in my comments, it would have been far better for you to leave any discussion off the table instead of talking about how you’d been eating too many sweets, or other food to “explain” your weight gain. When ppl see a significant weight gain, in a certain area, obviously they are going to speculate-but if you really want to keep it private don’t make fake claims. Don’t address it at all on the blog one lie can lead fo trolls and distrust. THAT is my issue. The lies. Ignore the speculation, don’t fan the flames and make readers question you by lying. You said you wanted to keep quiet. Do so. There’s no need to sprinkle lies throughout. I didn’t lie about my weight gain, I hadn’t even gained any weight at that time. I simply was making a joke about what the person who made that comment was implying about my body. I’m sorry but this entire conversation is so ridiculous. We both have much better things to do with our time than get ourselves worked up over a peanut m&m joke and honestly I don’t want this negative energy on my blog. If you have any other negative remarks to make, please take them elsewhere. I’m so happy to read your exciting news!! Congratulations!!! I’ve been following your blog for about 3 years. Oddly feel as though I’ve gotten to know you. This is such a beautiful chapter in your life, thank you for sharing. Looking forward to seeing your fashion these next few months. Congratulations Rach and Drew! I’m so excited for you and I know you’re going to be the best parents! Exciting indeed! God bless you! Such exciting news! You are definitely glowing! Congratulations!! What a gorgeous couple. I’m so excited to share in your journey! Congratulations on your growing family! Happy Thanksgiving! So happy for you! What a blessing! Wow! Congratulations Rach, Drew & Dasher. You’ve hidden your bump well up to now! I love these photos of you all, beautiful & can’t wait to follow along in the next chapter of your lives. I knew it! Congrats to both of you! Congratulations! What wonderful news!! You look stunning! 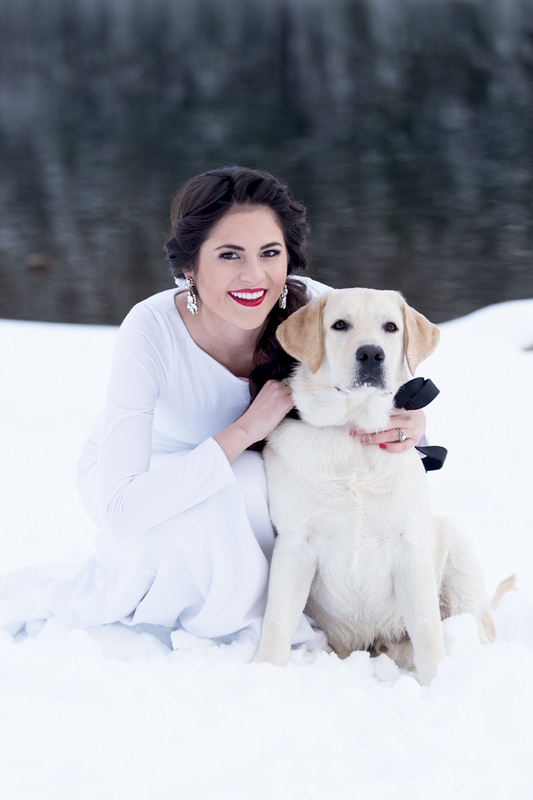 That dress is beautiful and the snowy scenery is breathtaking! Congratulations! What a great way to tell us the news :) And happy thanksgiving! Congrats! You love absolutely beautiful! Oh wow! These pictures are stunning! I’ve just recently started following you and just enjoy your site. Congratulations on your new bundle of joy – what a blessing! So amazing! Can’t wait to watch your journey and your maternity style. Congratulations to you beautiful soon-to-be mama. I am a mother to 3 young ones and have so much appreciated your amazing sense of fashion and style to help me pick out pieces when I don’t necessarily have time…you have helped me remain a stylish mom. Thank you. I think you are going to LOVE dressing your new addition…a whole new blog! Looking forward to staying tuned while you embark on this wonderful life adventure. omg you were so good at covering the belly before this post I would have never thought you were pregnant! You look amazing and wish the best for you and your family :)! SO excited for you!!!! I have 3 boys under 5, and they are the best thing that has ever happened to me! Can’t wait to find out what you are having!! Im so happy for you and your family. You look absolutely stunning and I’m so in love with these photos. I guess there is no better way to share this great news. You are doing a great job! I’m happy whenever I explore your blog – it’s filled with so much love. Hooray. Congratulations! These photos look like a truly royal winter wonderland. You are stunning. Congrats!! These photos are absolutely gorgeous! Congrats! You guys look beautiful! My hubby and I had our little one 4 years into our marriage and it was the perfect time. Our relationship and grown and matured and it was a solid ground for an addition. I hope it will be the same way for you two….. Being a mom has seriously been the greatest joy in my life and I am sure it will be for you as well. You guys are in for lots of fun! Congrats to you both!! You look stunning!!! You are so beautiful Rachel! Congratulations! I just found your blog and this wonderful post. You have wonderful taste and anyone who sits on their velvet blue couch with their dog is a friend of mine! Have a wonderful pregnancy, looking forward to seeing how you decorate the nursery. Belated happy thanksgiving. Congratulations and best wishes! I’ve been reading your blog for a very long time, and I always looks forward to your posts! ABSOLUTELY DELIGHTFUL NEWS! A HUGE CONGRATULATIONS TO BOTH OF YOU! YOU ARE BOTH LOOKING BEAUTIFUL IN THESE PHOTOS AND I REALLY HOPE YOUR PREGNANCY IS GOING WELL. TAKE GOOD CARE OF EACH OTHER RACHEL AND DREW. Congratulations on your pregnancy, Rach! You look like a goddess in these photos. You are going to have such a beautiful baby. I have been reading your blog for many years and look forward to seeing your beautiful family continue to grow. Much love from Seattle! OMG!!! These pictures are amazing! Congratulations! Congrats! You look beautiful – glowing actually! Wishing you an easy pregnancy – get ready for LOTS of fun times ahead! you look gorgeous!! congrats, lady!! What gorgeous photos :) I wish you and your family so much luck and happiness with your new upcoming addition! One thing I’d like to see in the future if you have any time, (and granted, you probably don’t!) is I enjoy seeing your responses to individual comments. It demonstrates that you are reading the comments and I like that. Here’s to a healthy and happy pregnancy! Best to you all. You look absolutely elegant and divine in the classy white dress, so amazing! Congratulations on the new addition to your family too! Congratulation !!!!! j adores your blog on behalf of a Parisian reader! Congratulations! You all look stunning and I hope you included Baby Parcell starting in the spring! How wonderful1 Congrats!! Amazing dress on you by the way with gorgeous scenery! can´t wait to see your maternity style! Oh my gosh! I’m totally late to the party but CONGRATULATIONS!!! So happy for you! And you are STUNNING!!! I’m so very happy for you!!!! I love reading your blog everyday and seeing your fashion flare. Rach, Congratulations! This is amazing news! Wishing you and your family a lot of love, health and happiness! Awesome and congrats. Your pictures are breathtaking. Congrats on the new addition. Congratulations! You seem like such a loving aunt and uncle to Capri and Cannon. I’m sure you’ll make a great mommy and daddy to your little one. And I can’t believe you managed to get Dasher to sit still for that picture. Then again, his paws may have turned into ice cubes preventing him from moving. Congrats on your upcoming bundle of joy! Beautiful pics! How exciting!!! Congrats to you & your husband. You are glowing!! Congratulations to you! Your blog is an inspiration to my daughter and me. She is away at college and we look at your blog together. Your blog is a daily conversation for the two of us. We love your style as it is timeless and elegant. Please keep posting these beautiful pictures. Such beautiful pictures, i wish you all the best, i have been following your blog and i love it, besides being gorgeous and stylish you seem like a lovely and good soul. Congratulations !!! Congrats to you and Drew. I’ve been a reader of yours for the last year or so and just had my first child in September. You’ll love being a mommy. It’s honestly the greatest honor and role. So happy for you. Wish you both all the best!! Btw you look amazing! Love your hair. How do you do that braid? Breathtaking photos! Such a gorgeous family. These pictures are beautiful! where are they taken?